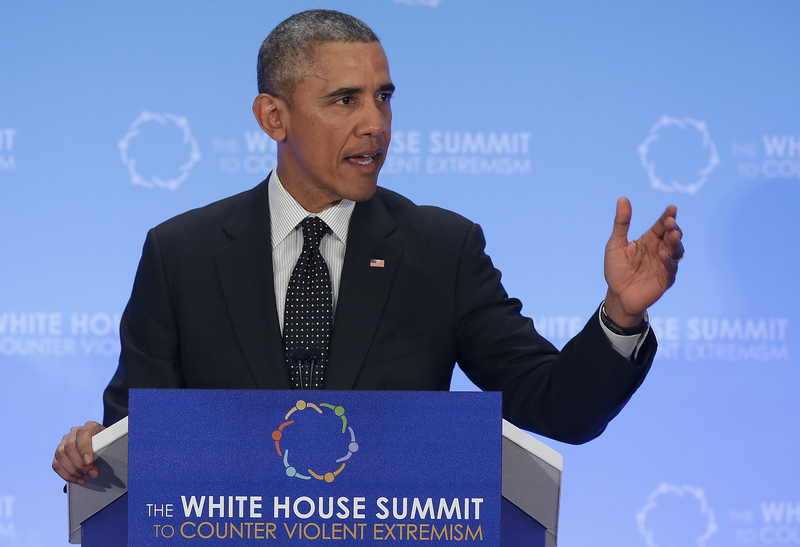 Obama: Notion that West at war with Islam an "ugly lie"
President Obama told a summit with representatives from 65 countries that the entire world has a role to play in countering the ideology peddled by terrorist groups. "We have to confront the warped ideologies espoused by terrorists like ISIL," Mr. Obama said, using an alternate acronym for the Islamic State of Iraq and Syria (ISIS). "These terrorists are desperate for legitimacy, and all of us have a responsibility to refute the notion that groups like ISIL somehow represent Islam because that is a falsehood that embraces the terrorist narrative." In his remarks, which were delivered on the closing day of a summit on violent extremism, Mr. Obama said that while there is a "complicated history" between the Middle East and the West, this is not a clash of civilizations. "The notion that the west is at war with Islam is an ugly lie," he said. He has come under fire for some of his remarks on the issue of terrorism, particularly his administration's aversion to using terms like "Islamic" to describe the militants threaten the U.S.
On Wednesday, former New York City Mayor Rudy Giuliani reportedly said, "I do not believe that the president loves America" during a speech at a private dinner in New York. On Thursday, Mr. Obama offered a to-do list for nations around the world to counter ISIS recruiting techniques, especially those aimed at young Muslims around the globe. Countries must "break the cycles of conflict, especially sectarian conflict, that have become magnets for violent extremism," he said, and cut off funding for extremist groups. He talked about the importance of confronting the economic troubles, noting that terrorist recruitment is especially effective in communities where young people feel trapped with no path for educational attainment or employment to support a family. He said the U.S. is making commitments to help young people - including those in Muslim communities - forge new collaborations in entrepreneurship and science and technology, and called on countries to commit to expanding education for girls. On a societal level, Mr. Obama said countries with diverse societies must "truly welcome people of faiths of all backgrounds." "Groups like al Qaeda peddled the lie that some of our countries are hostile to Muslims," he said. "We can't allow cycles of suspicions to tear at the fabric of our countries." In Europe, he said, there have been "inexcusable acts of anti-Semitism, or in some cases, anti-Muslim sentiment, or anti-immigrant sentiment." And, he added, "Young people are taught to hate. It doesn't come naturally to them. We, adults, teach them." Toward the end of his remarks, the president spent several minutes discussing what he said is a "painful truth" for some of the countries gathered at the summit: That Muslim communities in their countries are small, so there is limited personal contact between them and the rest of the population. "The image they get of Muslims or Islam is in the news and given the existing news cycle, that can give a very distorted impression," the president said. "A lot of the bad, like terrorists who claim to speak for Islam, that's absorbed by the general population, not enough of the good." He cited the more than one billion Muslims around the world who "do represent Islam" as members of society, and in particular cited examples of those working to save lives as health workers, promote peace, or protect other religions such as the Muslims who helped protect Coptic churches in Egypt. "The world hears a lot about the terrorists who attack Charlie Hebdo in Paris but the world also has to also remember the Paris police officer, a Muslim, who died tried to stop them. The world knows about the attack on the Jews at the Kosher supermarket in Paris. We need to recall the worker at that market, a Muslim, who hid Jewish customers and saved their lives," he said. Many of the themes in Thursday's speech echoed his message during his first remarks at the extremism summit Wednesday. CBS News' Pamela Falk reports that United Nations Secretary General Ban Ki-moon, who attended the summit, said, "Let there be no doubt: the emergence of a new generation of transnational terrorist groups including Da'esh and Boko Haram is a grave threat to international peace and security."